Eagle Hapkido Toronto is dedicated to those who express a genuine interest in self defence and personal development in the martial arts. It is not designed for those who are interested in rank, the inflation of one's ego or superficiality. 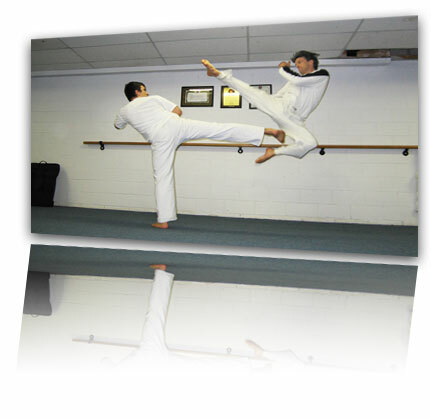 The school has been operating at the same location, teaching Hapkido in Toronto for almost 30 years. In the beginning, Eagle Hapkido was deemed the “Ultimate Fighting School”, well before the formation of the UFC® (Ultimate Fighting Championships). An intense curriculum featured all aspects of fighting including grappling, ground fighting, throwing, punching, kicking, joint locks, and pressure point attacks. Unfortunately, the school was not well received and had few students. After all, at the time, interest in the martial arts in Toronto lay more in punching and kicking due to the popularity of martial arts movies at the time. Today, the market has shifted towards ground fighting and grappling. However, the curriculum at Eagle Hapkido remains the same as before. The only difference is that it now attracts more students.